Dr. Dan Ștefan Niculescu, part of the DENT ESTET team since 2004, is one of the first highly-specialized doctors in dental implantology in Romania. Dr. Niculescu restored both health and beauty of the smiles of hundreds of patients, being among the first physicians in the country to be certified in the revolutionary Bredent Fast & Fixed dental restoration system of dental implants. 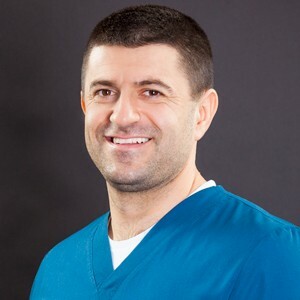 As good results can not be achieved without hard work, passion and commitment, Dr. Niculescu attended specialized training courses, having access to all the know-how and techniques used in large dental clinics worldwide. “Minimum invasive dentistry between science and art”.